Perth’s No.1 window cleaning company! Thanks to ravishing amounts of reputable experience in the industry, your windows will have never looked so damn fantastic after we have finished. Bringing the WOW factor to Window Cleaning in Perth, with experienced, qualified and friendly window cleaners, we always go above and beyond expectations. Need to have your Residential, Commercial or High Rise windows cleaned? Or do you need your gutters, fly screens, window frames or glass balustrading cleaned? We can do them all! For all of your window cleaning needs, count on Perth Window Cleaning WA. From standard residential cleaning, to pool cleaning, to high rise buildings, and everything else glass. Some call us the “Wizards of window cleaning” others say we are “Perth’s premier window polishing practice”. We only call ourselves Perth’s best window cleaners because we give windows the ‘wow’ like no other. You don’t want your windows cleaned to the best that they have ever been for a price that is so affordable it’s almost too good to be true. Or possibly you don’t want to explain to all of your friends and family every time they visit and how you made your windows and glass look so damn amazing. Let us tell you. You don’t need to go anywhere else. We are your one stop window and glass cleaning shop that brings new life to everything we touch like wizards. Demand for a dazzling finish. We demand the very most out of ourselves to ensure that every one of our window cleans ends up like a dazzling dream of clean. Be amzed when you see the finished result. Squeegee specialists. Years of experience behind us makes us squeegee specialists who know not only what we are doing but how it is done best. Forget streak marks and say goodbye to the dirt for good. Complete comprehensive clean. Our window cleaning doesn’t just end on the outside. By getting inside and out, a full window clean result. Add your window sills to the mix and you have a complete package. Professional & Polite Window Cleaners. Be amazed at just how polite, professional and passionate our Perth window cleaners are. Customer service is our number one priority. The tools and tricks of the trade. We have all the right equipment, with all the right products and all the right technique. Window cleaning like you have never known it to be, and will never know to be any better. Pampering prices. The last thing you want is to be washed away with price. Our window cleaning service pampers Perth residents with a premium price slash, that provides you with the best value for money. Striving for your satisfaction. We guarantee our window cleaners will do nothing but ensure you are satisfied with the ends result, and if you are not we will clean them again. This is our guarantee to you. No job is too big or too small. Whether it be indoors or outdoors, high in the sky or low to the ground, one small window or hundreds around. We can and will get our super squeegee there, and have those windows glistening. Fast, efficient & reliable. Perth Window Cleaning WA prides on providing service that is Formula 1 fast and ridiculously reliable. Our window cleaners will be there on time, immediately commence cleaning and be gone like the Wizards of windows that we are. Range of cleans for your requirements. 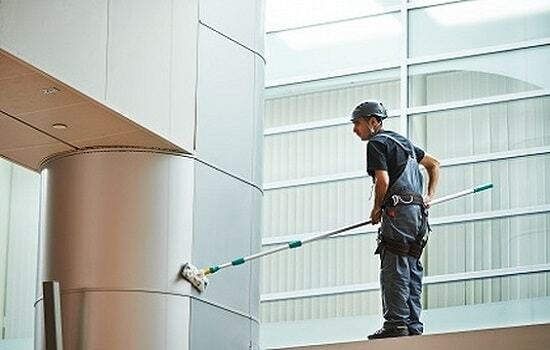 Providing both domestic and commercial window and additional cleaning, we will accommodate to your needs. From homes to offices, to factories, car window cleaning and everything in between. We have the clean to fulfil your needs. With our services, you have the capacity to make a private window cleaning schedule that is both reasonable and compelling to keep your windows clean year round. Extra glass cleaning is available as well. We clean mirrors, glass cupboards and glass tables! We just utilize proficient tools and specific instruments to clean glass. Whether your windows are high, low, large, small or simply difficult to get to, it’s no issue, we can clean all of them. Perth Window Cleaning WA don’t just clean the in and outside of every window, we clean the window frames and screens too. Our window cleaning professionals are prepared to do the cleaning and scrubbing for you. 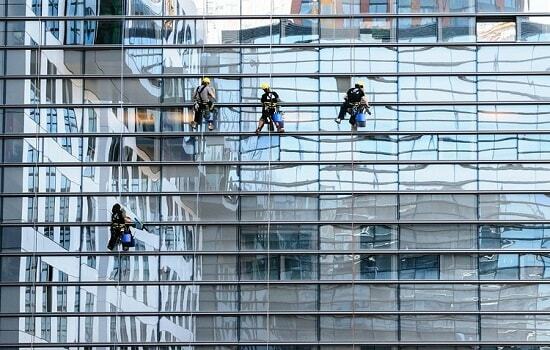 Not many window cleaning companies offer high rise window cleaning into the mix. In order to ensure that we have every service available to you, we definitely include it. We have a dedicated team of Perth High rise window cleaners, proficiently trained in all aspects of heights, high rise and of course cleaning. Have used these guys several times now, and have not been disappointed once. Thank you for such an amazing job. I can't remember the last time my windows were this clean! Perth Window Cleaning WA cleaned my windows with very fast and professional service. No matter the need, our team will make it clean. If in your case you’re similar to most property holders, you don’t clean your windows. That is based on account that window cleaning is lengthy and troublesome or risky to do. It normally includes climbing steps, hanging out of windows and after numerous hours of work, they have streaks and smears. With our 3-stage cleaning process, the cleaning is offered to you with No dribbles. No streaks. Furnishing you with expert Window Cleaning services is our fundamental core interest. We don’t consider window cleaning to be an auxiliary task. We take pride in providing skilled supervision and trained staff, state of the art equipment, and additionally an operational skill that is second to none. Plus no window cleaning job is too tough for us. Getting your windows spotless and without streak and keeping them that way involves than simply splashing and wiping. To keep them clean and clear for a long time, it’s essential to clean up the canopies or overhangs over the window, tidy the windowsill, clean out the tracks in sliding windows, and dispose of any trash that is stuck in the pivot. Our skilled Perth staff all have a brief assignment list which we work through to guarantee the best conceivable results every time. We take the same amount of consideration with general household jobs as we do with extreme end of lease and investment property jobs – it’s all part of our fabulous quality rate here in Perth. We can make a gigantic effect in the climate of your home, and it can be a key component in the presence of your business. Whether at work or at home, you can be rest assured that your windows will be cleaned by a safeguarded and reinforced proficient window cleaner. We are pleased to carry out our job and are cheerful to take the task of window cleaning off your hands. We try our hardest to make sure that you are satisfied by our work and that you feel your investment was worth it. Window cleaners come in all mixed bags. You may discover a window cleaner that is less expensive, however you won’t discover one who is more expert and treats your windows and home with the consideration and admiration that we will! You can be guaranteed that the streaky look, left by paper towels and splash chemicals will be a relic of the past. Perth Window Cleaning WA, all the way. Perth Window Cleaning WA also teaches you several ways to clean your windows and various strategies that you can adopt in order to clean your window without any assistance required. We give primary importance to your property value and essentially clean the windows with extreme care and supremacy. Our stupendous service technicians can guide to how to make it sure that your windows can be cleaned without hampering your family or hurting anyone around you. Our cleaning is performed exceptionally and carefully so that nothing is damaged in the process. Our trained staff will make suggestions to you, on the most proficient methods for window cleaning. This way we can perform in a matter that does not place risk on your family, pets and other people that may be present during the window cleaning sessions. In Perth we are the best windows cleaning services that have served up to number of homes with beautiful and clean windows. In the event that your windows require additional work, for example: water stains, construction debris or paint marks, simple convey the consideration to our team. If you’ve ever battled with cleaning high-up windows or getting into the tracks of a sliding window, don’t push anymore. Call Perth WA’s best and get genuine experts to look after it for you. 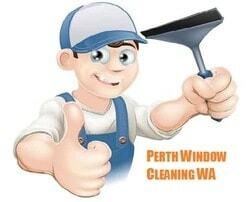 Perth Window Cleaning WA have flexible schedules and are open to special requests being made. So whether it be an emergency or a booking in advance, we will make sure we attend to your needs. There might be cheaper cleaners out there, but there aren’t any better value for money. With quality cleaners, quality equipment, and quality cost, we tick all boxes. We at Perth Window Cleaning WA clean not only the outside of the window but also the inside essence of the window. We willfully and peculiarly clean the windows frames and remove the skid marks as well as unnecessary marks that are unwelcome on your windows.